The perfect amount of support exactly where you need it. Try them out with confidence today. You're backed by our 90 day comfort guarantee. I always have my Brooks. 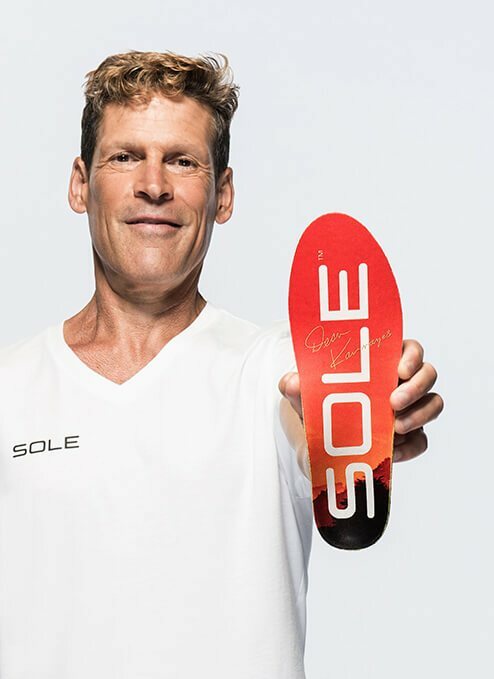 They have to have the right insoles in them, which are the SOLE footbeds by Dean Karnazes, who is an ultramarathoner. You put the inserts in the oven for two minutes and then stand on them, and they work for me better than any other insert I’ve ever put in my shoe. I got that tip from the Navy SEAL that lived with us for a month. What’s not to love about SOLE footbeds. They feel great underfoot, and they’re easy on the environment. To me, that’s a winning combination! I can run again! Unable to enjoy running for two years due to heel pain. Different doctors, different orthotics, no difference. I now have SOLE Active Thick footbeds in my runners and have trained for a few months. No more heel pain! Getting ready for the 30K race around the Bay! Thank you SOLE. I love SOLE! I have successfully used SOLE footbeds for many years. Initially for hiking and backpacking. They saved my knees from the constant impact of long descents while carrying heavy packs. After contracting plantar fasciitis from running in shoes with poor insoles, I started wearing SOLE footbeds in all my shoes including my everyday business dress shoes, running, tennis and softball shoes. I firmly believe that SOLE footbeds not only allowed me to “play thru” and continue to enjoy the activities I love, but also helped significantly with recovery from plantars. SOLE simply changed my life! I spent hundreds of dollars on orthotics, none worked out for me and they were waste money. I was suffering from plantar fasciitis for couple of months, running and doing exercises were becoming difficult and painfull. After purchasing your products, I’m hitting the gym and trails everyday and I don’t feel any pain in my feet. Thank you for designing such an awesome product! Running puts stress on the vulnerable parts of your feet, so it isn't unusual for overuse and traumatic injuries to occur. Below are some of the most common orthopedic issues associated with running. If you have foot pain, we have the solution. A gradual onset of pain under the heel which may radiate forwards into the arch. Sharp, aching or burning pain in the ball of your foot, just behind your toes. A small crack or bruising in a bone causing pain and swelling. Pain or spasms in the upper leg or bum where the tendon has been strained or torn. Pain or swelling in the heel and back of the ankle where the tendon has inflamed. Pain or swelling in the knee caused by flexing it while bearing weight on the joint. 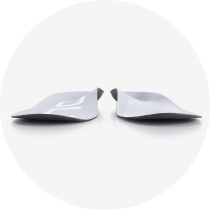 All SOLE footbeds come with the same signature orthopedic shape featuring a supportive arch that prevents pronation and supination, a deep heel cup that encourages natural heel protection and reduces lateral movement and a moldable orthopedic base that acts as a dynamic second skin, providing you with the perfect amount of support exactly where you need it. 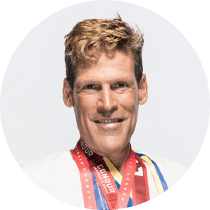 One of Time Magazine’s “Top 100 Most Influential People in the World” and hailed as one of the fittest men on the planet by Men’s Fitness, Dean Karnazes is an internationally recognized ultramarathon runner and bestselling author. He has and continues to make history through his sport while wearing SOLE in his shoes. All SOLE footbeds are backed by our 90 day footbed guarantee. We not only stand behind the quality and performance of every footbed but also the personal satisfaction of our customers. If you don’t love them for any reason, contact our customer service team for a full refund. Three levels of thickness means SOLE has the perfect footbed to keep you running longer. 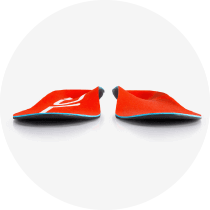 SOLE recommends choosing the thickness of the insole based on the volume of your shoe as well as your preference or requirement for cushioning or shock support. Ideal for footwear with wiggle room, thick factory insoles or wider space in the toe. Ideal for most average-volume footwear and shoes with standard factory insoles. Designed in collaboration with signature athletes, each pair of these high performance footbeds purchased donates $1 to charity. This footbed collection features SOLE’s trusted customizable support, the addition of Polygiene® odor control technology, a moisture-wicking topsheet and a density mapped, eco-friendly natural recycled wine cork base. Available in Thin, Medium and Thick. Tried, true and proven effective, this footbed collection features our signature shape for everyday comfort. Features SOLE’s trusted customizable support, the addition of Polygiene® odor control technology, a moisture-wicking topsheet and a density mapped EVA base. Trusted customizable comfort with a metatarsal pad designed to keep your foot in its natural resting position and relieve pressure in the ball of the foot. This footbed collection features SOLE’s trusted customizable support, the addition of Polygiene® odor control technology, a moisture wicking topsheet and a density mapped, eco-friendly natural recycled wine cork base. SOLE footbeds are accepted by the American Podiatric Medical Association. 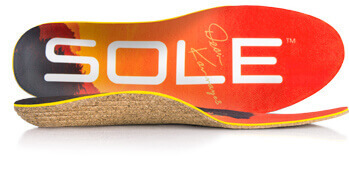 All SOLE footbeds are heat/wear moldable for custom comfort. Clinically proven to reduce plantar fascia strain by one third. Select styles feature Polygiene® odor control technology. 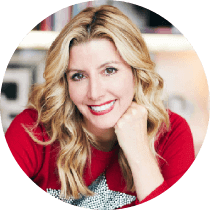 Find exactly what you’re looking for with personalized product recommendations from the SOLE Personal Footbed Shopper.